Introducing Carmen Noviskey, the newest member of my team! I'd like to introduce the newest member of the Wanda Fears Real Estate Team, Carmen Noviskey. I am so excited to be having her on my team and think she has a lot to offer. Her fresh perspective is invaluable to the Real Estate market and what keeps this industry thriving and innovating! Her drive is unparalleled and I am eager to see what she's capable of! 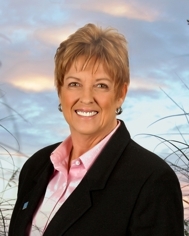 Carmen began her career in real estate investing while residing in her home state, Michigan. After a visit to Richmond, Virginia several years ago, Carmen chose to relocate here for the city's rich culture and history. Carmen is passionate about community and giving back. She spent over 10 years working with developmentally disabled and mentally ill individuals. Carmen also is an active member of the Museum District Woman's Club and enjoys volunteering at the many Richmond festivals and events. Carmen’s passion for real estate began when she started looking to buy her first home. “I loved going through houses and seeing the different elements of each style,” she reminisced. Carmen enjoyed picturing how different spaces could become home. Seeing different home styles and great neighborhoods along the way got her excited about real estate. She enjoys the process which makes her patient and creative when helping clients find their next home. She likes to make the home buying experience less stressful for her clients by listening to their needs and walking them through the process so they feel comfortable and informed about their options. Being a newer resident of Richmond herself, she loves exploring her neighborhood, the historic Museum District. A part of the Museum District Women’s Club, she finds being a member helps create a sense of community and a provides her with a chance to see great house presentations and events they hold! She likes the neighborhood’s location because it’s close to so many popular places in the Richmond area like Carytown and great museums (as its name endeavors you to imagine) like the VMFA. Great local coffee houses, markets and old school Restaurants like Chiocca’s give the neighborhood great character. “It’s a diverse area and I really feel like it’s a very active community in Richmond. We have clean up days to keep the neighborhood nice, throw block parties, have social clubs, and put on the annual Mother’s Day home and garden tour," she says of the area. Carmen is also involved with many charities. Throughout college, she worked in a treatment center for adults who had been diagnosed with mental illness. She continued her work after graduation helping people living with mental illness and developmental disabilities find jobs, homes and resources within their community to help them live the lives they want. She’s volunteered with many advocacy and support groups to raise awareness and build community for people with disabilities including being a coach for the Special Olympics! Helping people and families who otherwise think they have no options find a home that fits their needs, she finds very rewarding. Carmen has partnered with Long & Foster to represent clients buying and selling homes in Richmond, Virginia. Carmen is committed to providing unparalleled expertise and service to clients, believing that working as a Richmond area realtor is less of a duty and more of a privilege. “Richmond is so unique…this city really has something for everybody. The history, the festivals, the neighborhoods, the music and restaurant scene..I love being able to help people find the area that THEY love because every neighborhood has so much to offer,” including the houses, she noted; “No matter what you like, it’s here." Whether you've owned a home before or have decided to make the transition from renter to home owner, Carmen will be there to assist you every step of the way. Buying or Selling; It's just a good time to do it!